Dengue is transmitted by several species of mosquito . Dengue fever virus has four different types; infection with one type usually gives lifelong immunity to that type, but only short-term immunity to the others. Subsequent infection with a different type increases the risk of severe complications. As there is no commercially available vaccine, prevention is sought by reducing the habitat and the number of mosquitoes and limiting exposure to bites.Symptoms can include headache, fever, exhaustion, sever muscle and joint pain, swollen glands and rash. Sometimes referred to as the “dengue triad” fever, rash and headache is very common when infected. On the rise since 2005 in gulf coast of the US. 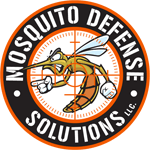 Stay protected by investing in mosquito misting systems in Houston!